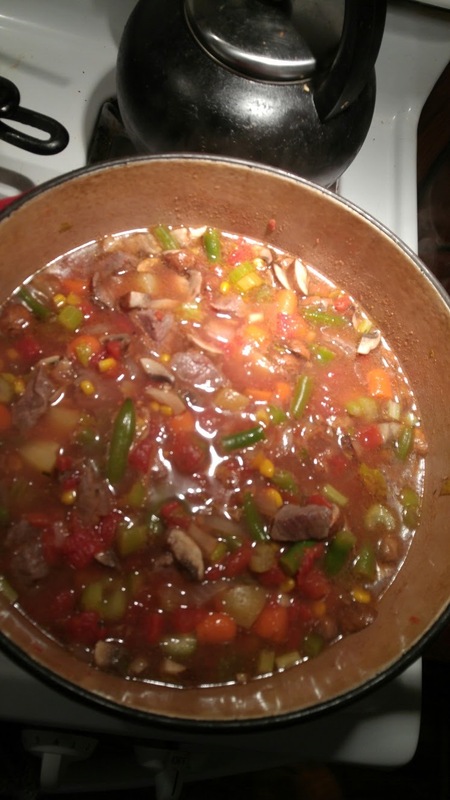 With the temperature being below freezing, it seemed like a good weekend to make vegetable beef soup! Saturday I made a big pot of it. The kitchen warmed up nicely and the whole house smelled good.